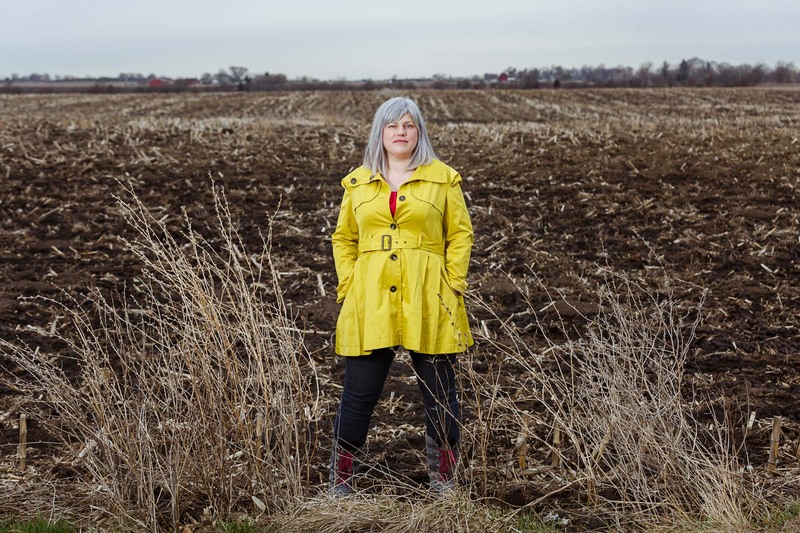 Esther Roberts stands in her friend, Penny Johansen's farm field, in Somer's Wisconsin, which sits directly across the road from from the massive Foxconn development site in Pleasant Prarie, WIsconsin. Esther Roberts is running for public office in a rural Wisconsin -- photographed for a Yahoo! News story about younger women running for office in 2018.